In 2011, the GACCE Board of Directors sought a way to recognize chambers in the state that have focused internally on their operations to assess their strengths, weaknesses, and opportunities to create efficient, effective organizations positioned to deliver great value. Thus, the Georgia Certified Chamber program was created. The purpose of the program is to facilitate continuing excellence in the chamber industry and to foster a pro-business environment across the State of Georgia. Chambers must meet standards in organization, service intent and capacity, professional administration, financial management, communications, and advocacy in order to achieve the designation. 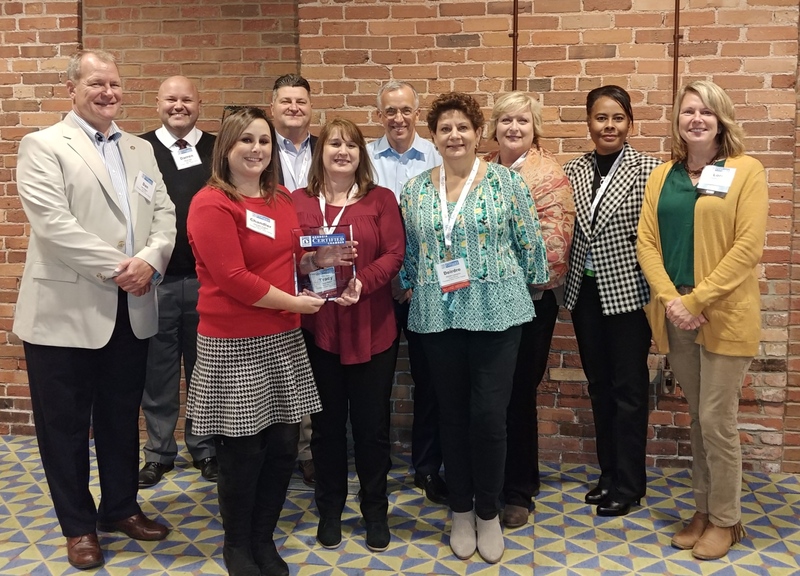 With over 150 chambers of commerce in the State of Georgia, the eight chambers that were recognized as Georgia Certified Chambers during the Opening Luncheon of the 2018 GACCE Volunteer Leader Conference held at the Columbus Convention & Trade Center in Columbus, GA on Thursday, November 15 received a prestigious honor that distinguishes the high quality, expertise, and strong leadership displayed by accredited chambers. These chambers make up a total of 57 chambers of commerce that have been recognized with this distinction over the past seven years. GACCE congratulates these chambers for their accomplishment! GACCE is the professional society for chamber of commerce executives and staff. The mission of GACCE is to engage, educate and empower chamber professionals. 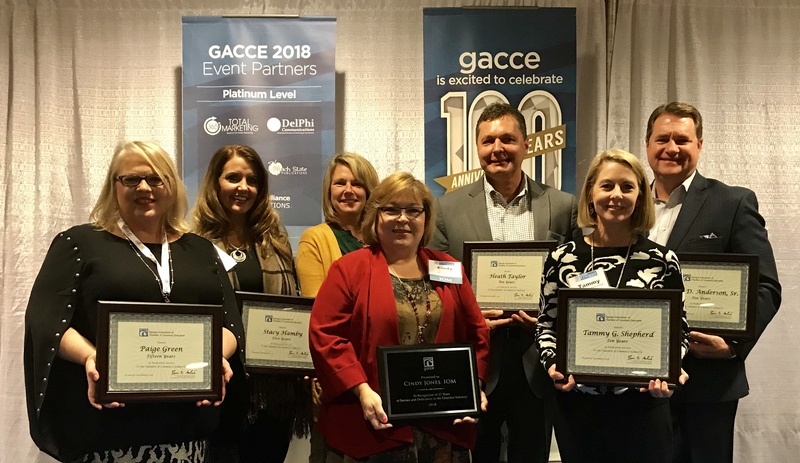 The Georgia Association of Chamber of Commerce Executives (GACCE) recognized its 2018 Service Awards at the GACCE Volunteer Leader Conference held today in Columbus, GA. The Service Awards recognize those chamber executives in Georgia who have achieved significant years of service in the chamber of commerce industry. GACCE presents a certificate of service for each five-year increment of service. Service includes a combination of executive and/or staff employment time in all chambers of commerce. Congratulations to each of you, and thank you for your service to the chamber of commerce industry! GACCE is the professional society of chamber executives and staff in the State of Georgia. The mission of GACCE is to engage, educate, and empower chamber professionals.